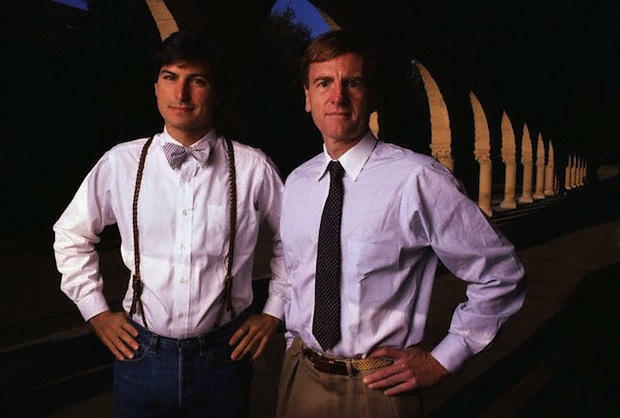 I recently read the Steve jobs biography and one of the most interesting anecdotes was about the highly publicized courting and hire of John Sculley, former Pepsi President. If you want a quick crash course, follow these links from silicon valley and Forbes. Essentially, Steve Jobs wanted a blue chip marketing all-star from a large company to come into Apple and help them dominate the personal computing space. After many months of courting and discussion, Steve got his man and things seemed like a match made in heaven. Fast forward a few years and Jobs ends up getting pushed out of Apple by Sculley (according to Steve), and it’s widely considered that Sculley’s ten year reign at the company almost put Apple out of business. Here’s a few lessons from this story that are worth reiterating. Personality is key. You can’t hire someone you can’t get along with easily. No matter how talented you are, you won’t be successful in the wrong environment. Don’t try and fool yourself. Culture is king, and there is no right or wrong culture. Some companies are extremely organized, process driven, and resource rich. Others fly by the seat of their pants and have very little money to invest or spend. One way is not necessarily better than the other, but it’s key your recruiters and hiring managers really understand your culture (not what you wish you were) and accurately portray that message to candidates. I recently read the Steve jobs biography and one of the most interesting anecdotes was about the highly publicized courting and hire of John Sculley, former Pepsi President. There’s been plenty written about this story which you can find, here (http://www.silicon-valley-story.de/sv/apple_sculley.html) and here (http://www.forbes.com/sites/davidcoursey/2012/01/13/john-sculley-tells-the-real-story-of-steve-jobs-firing/) , if you want a quick crash course. Essentially, Steve Jobs wanted a blue chip marketing all-star from a large company to come into Apple and help them dominate the personal computing space. After many months of courting and discussion, Steve got his man and things seemed like a match made in heaven for a bit. Fast forward a few years and Jobs ends up getting pushed out of Apple by Sculley (according to Steve) and it’s widely considered that Sculley’s ten year reign at the company almost put Apple out of business. Here’s a few lessons I gleaned from this story that are worth reiterating. – Personality is key. You can’t hire someone you can’t get along with even though they’ve been very successful in other environments and seem like a perfect fit for a position. – No matter how talented you are, you won’t be successful in the wrong environment. – Culture is King. There is no right or wrong culture –some companies are extremely organized process driven or resource rich, others fly by the seat of their pants and have very little $$ to invest or spend. One way is not necessarily better than the other, but it’s key your recruiters and hiring managers understand what your company is and accurately portray that to candidates. There’s nothing worse than a great hire that is unhappy and turns sour in the long run because the company sugarcoated interviews.